When restaurateur George Lyristis began putting into motion his plans to open a fast-casual Greek restaurant in Shrewsbury, New Jersey, he entrusted M studio with the task of developing the branding for Greek Eats. M studio has worked with Lyristis in the past on social media and graphic design projects for his other establishments, Teak and The Bistro at Red Bank, and we were excited at the prospect of delivering a cohesive and comprehensive brand identity for his newest endeavor. In developing Greek Eat’s branding from concept to completion, M studio delivered custom logo design and graphic design for menus, print collateral, and apparel. 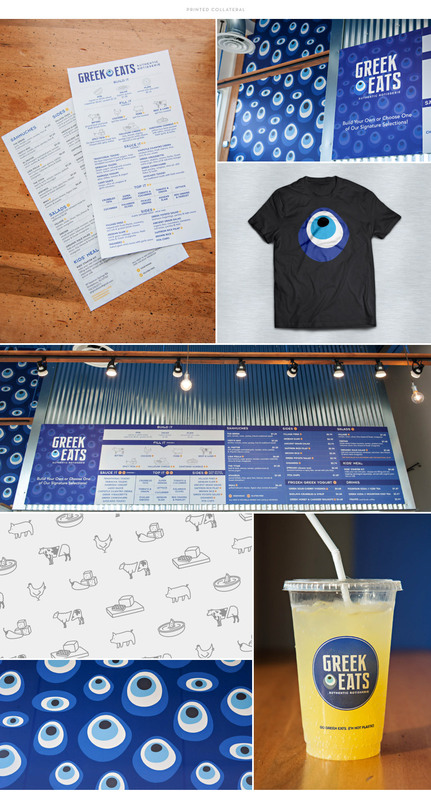 From the sign on the building’s facade and the menu hanging above the ordering station, to t-shirts and walls emblazoned with a new take on the evil eye, the visual identity of Greek Eats is unmistakable. 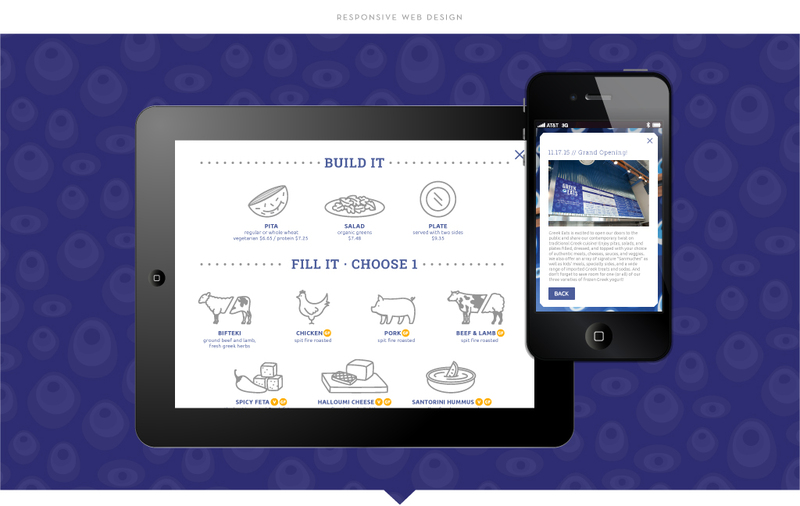 The Greek Eats brand also informed the aesthetic of the custom website built by the M studio website design and development team. A simple one page site featuring the menu, Greek Eat’s history, hours, location, and job openings, the site also displays press pertaining to Greek Eats. In support of Greek Eat’s grand opening, M studio’s public relations team garnered press in online and print publications including Red Bank Green, The Asbury Park Press, and 94.3 The Point.